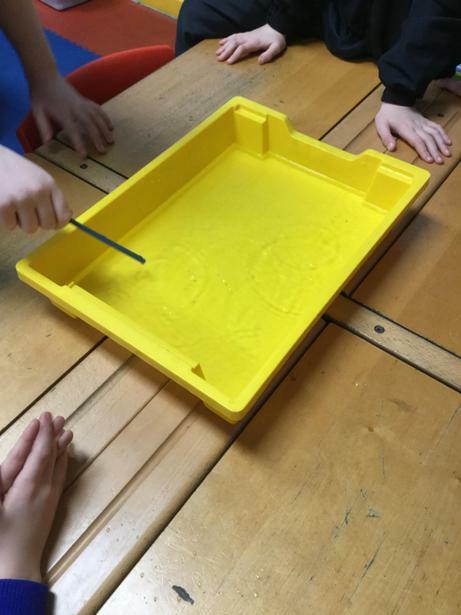 They placed a tuning fork in water and observed ripples in the water. 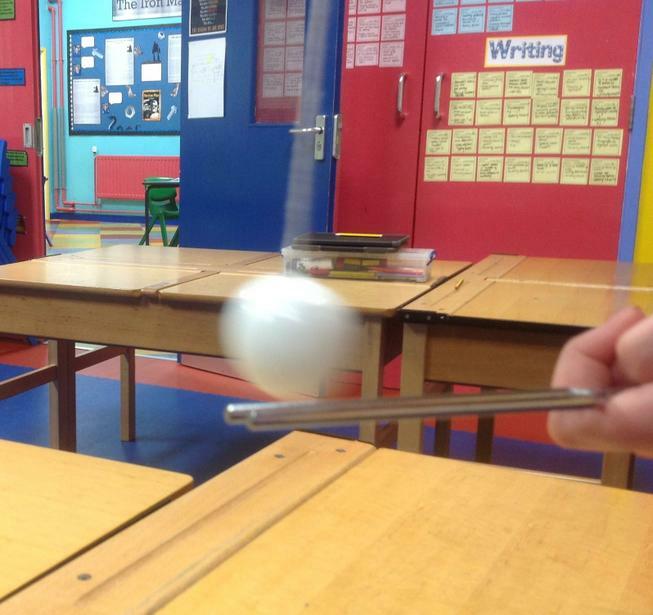 They placed a tuning fork against a ping pong ball and it swung from side to side! They placed rice on a drum and observed it bouncing up and down. Some of it even flew off the drum! 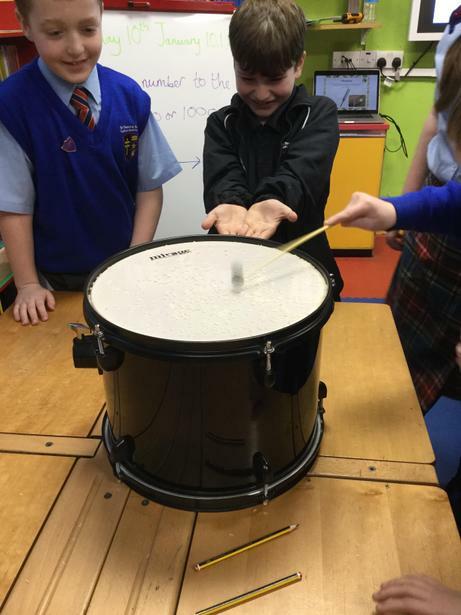 We also tried out some unusual musical instruments to discover how different instruments can create different sounds.